Seeing your child bleeding has to be one of the scariest things ever for a parent. I remember how I panicked the first time I saw my son’s nose bleeding. One moment he was fine, the next moment he had blood gushing out of his nose. I knew that nose bleeds were usually nothing to worry about, but seeing all that blood was overwhelming! Luckily for me, my husband knew how to handle our kid’s nosebleed and managed it appropriately. But I knew I had to find out more about this very common childhood affliction in case it happened again. What causes a kid’s nosebleed? 1. 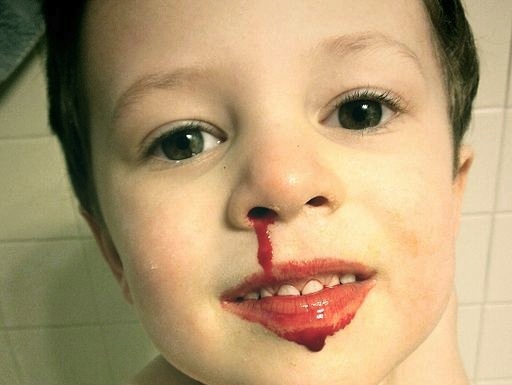 Minor trauma can cause your kid’s nosebleed. This includes him picking his nose, putting a foreign object inside it, blowing his nose too hard, falling on it or getting hit on the nose by a ball/other object. 2. 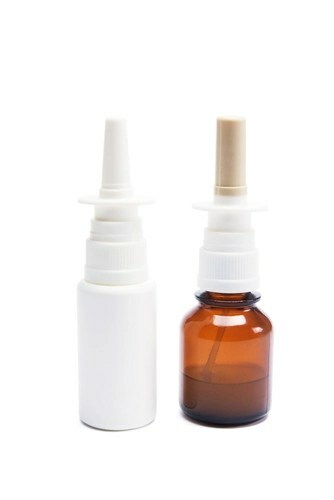 Colds and allergies may cause swelling or irritation inside the nose, which can lead to nosebleeds. 3. 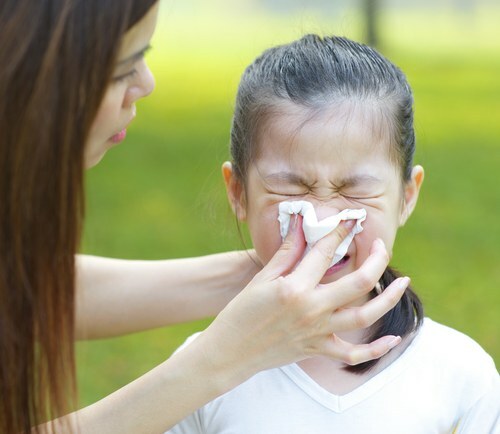 Low humidity could dry out the inside of your child’s nose, making it bleed. 4. Abnormal blood clotting caused by anything that interferes with the blood’s clotting ability, such as aspirin, could cause nosebleeds. You might have noticed that some kids get nosebleeds more frequently than others. This is because the veins inside their nose are closer to the mucous membrane than other children’s, making them more susceptible to burst when the child picks his nose or gets hit on the nose by a ball or another object. Regardless of how often your child gets nosebleeds, it’s good to know what to do if and when it happens. – Remain calm. Seeing all that blood may be overwhelming but it’s rarely serious. – Get your child to sit down and slightly tilt his head forward. If he is old enough, get him to gently blow his nose. – If he is not old enough to sit by himself, sit him on your lap (see image below). – Pinch the soft part (the lower part) of your child’s nose between your thumb and finger and hold it firmly for at least 10 minutes. Don’t release your grip during this time to see if the nose has stopped bleeding. 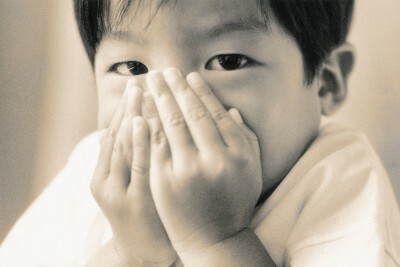 – Try to distract your child while you pinch his nose as it’s best he doesn’t struggle and stays calm. You could try getting someone else to read a book or sing a song. – Release pressure on the nose after 10 minutes and check if the bleeding has stopped. If it hasn’t, repeat this step for another 10 minutes. – After your kid’s nosebleed has stopped, discourage him from playing rough games for at least a few hours in case the nosebleed starts again. – Do not ask your child to lean back as this might cause blood to flow down the back of the throat and may lead to gagging, coughing or vomiting. – Avoid stuffing tissues, gauze or any other material in your child’s nose to stop the nosebleed. – He has lots of nosebleeds along with a stuffy nose. This could mean that he has an easily broken blood vessel or growth in the nose. If it’s the former causing the bleeding, the doctor may touch that point with silver nitrate to stop the bleeding (this is painless). – If your child sleeps in an air-conditioned room, the lack of humidity may be causing his nosebleeds by drying out his nose excessively. If you must use an air-conditioner, then consider using a humidifier or vaporiser to add moisture to the air and minimise nosebleeds. – Advice your child not to pick his nose! – Saltwater drops could help keep your child’s nasal passage moist. These are available at any pharmacy. If all these measures fail, consult with an ENT surgeon who may use a procedure called diathermy to seal off the affected area. This is usually done under general anesthesia. According to medical experts, this procedure usually gives your child anywhere from 6 months to a year of relief from nosebleed.